Liverpool’s decision to move Mohamed Salah into a more central role has been fully justified, writes Adam Bate. Going into this season, if there was one thing at Liverpool that Jurgen Klopp would have been advised not to alter then it would have been the role of Mohamed Salah. After all, the Egyptian had scored 42 goals in his debut season, winning numerous individual awards. But Klopp did tweak Salah's position. The Liverpool coach switched him to a more central role, placing greater demands on Roberto Firmino to accommodate Xherdan Shaqiri. The change was much debated in the early part of the season. 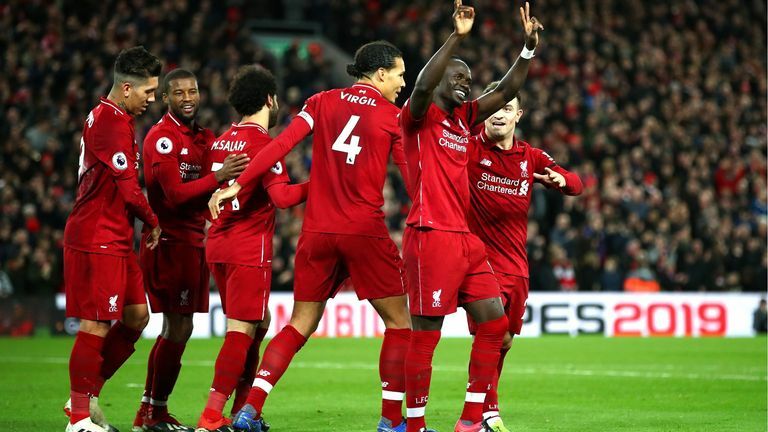 Now, with all three players impressing, it looks to have been the masterstroke that could propel Liverpool to the title. "He had to adapt a bit to a slightly different position," explained Klopp over Christmas when asked about Salah. "It is not that much different but it is different from time to time." 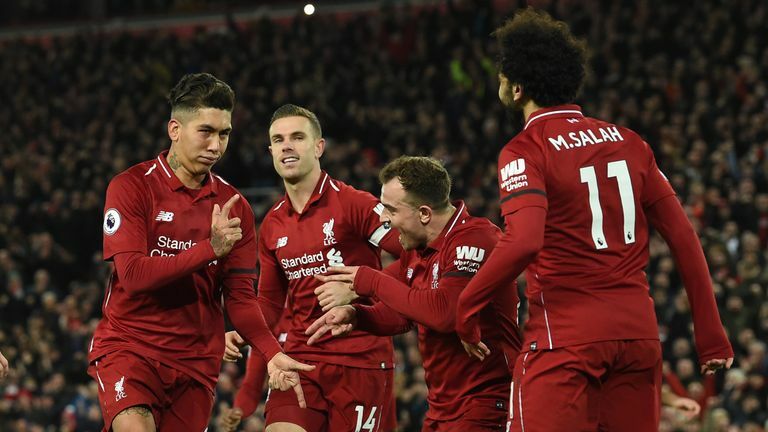 It is no surprise that the hard-working and adaptable Firmino was the man expected to adjust when Klopp wanted to get an extra attack-minded player into his team. Getting Salah into advanced areas felt like a natural evolution of his role anyway. But what might be more surprising is that the decision has not only resulted in Salah's scoring rate remaining remarkably high - he went into 2019 as the joint-top scorer in the Premier League - but the other aspects of his game are flourishing too. For example, Firmino is famed for his work rate and his pressing from the front. And yet, there is no player in the Premier League who has won possession of the ball in the final third of the pitch as many times as Salah this season. It is he who is the king of the counter-press. "We need him as a linkup player as well, that is a very important part of our game," said Klopp. "He is still, with his desire and his speed, especially on the first few yards, just impressive. He is a very important part of our finishing situation in general, how we prepare them, how we come in these situations." He added: "Of course, he is young enough to involve a lot more things in his style of play. It is not just speed. It is not just finishing. It is between the lines. It is keeping the ball." No player has had more touches of the ball in the opposition box this season and Salah has made that count by bringing others into play as well as finding the net himself. His brilliant assist for Sadio Mane's goal against Arsenal was a perfect example of this. Salah ranks second in the Premier League this season for chances created from open play and is also second for big chances created. According to Opta's expected goals model, Salah's expected assists for the season stands at 5.59 - better than anyone else in the competition. It is extraordinary to think that he could yet finish the campaign as the Premier League's top scorer and the player who has created the most chances for others too. Especially given that Salah's supposed dip in form was much discussed in the autumn. But the fact that the Arsenal game last time out saw him touch the ball in the opposition box more times than in any other game this season, suggests that he is getting better and better. Klopp believes that Salah's fitness has been a factor in that improvement. "You need your body for that, and that was the only problem Mo had a little bit at the beginning of the season," he explained. "A part of his body was still not perfect. "If you work in an office and your shoulder's not 100 per cent, if it's not your writing hand it should be OK. If you're a professional football player in this moment it just keeps 10 or 15 percent away. He was still a world-class player, but we all knew we had to wait for the moment when everything is fine, and that was already a few weeks ago, so it's all good." Again, the statistics underline this upturn in physical performance. Salah made more high-intensity sprints than any other Liverpool player during the month of December. He was also clocked at a top speed of 34.63 kilometres per hour - faster than anyone else too. The country's outstanding player of 2018 begins 2019 in great shape not only to continue his astonishing achievements so far but to build on them. And huge credit to his manager for daring to change something that was far from broken in the ambitious belief that he could coax something extra and add even more to this team. It is working.